We are excited to have just taken delivery of the following new-release for kids and tweens – just in time for Christmas! Between the ages of 8 and 12, kids often start to wonder if Christianity is true. In Cold-Case Christianity young readers are drawn into the thrill of high-stakes investigation and taught “how to think, not just what to think”. 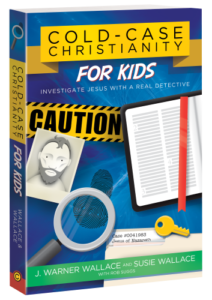 This is a children’s version of the bestselling book Cold-Case Christianity where detective Jim Wallace gets kids excited about testing witnesses, examining the evidence, and investigating the case for Christianity. Includes author illustrations and links to a website (coldcasechristianityforkids.com) where kids can download activities, fill in case notes, and earn a certificate of merit. 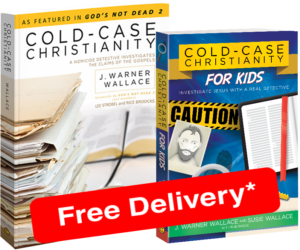 Cold-Case Christianity for Kids follows the same chapter sequence as the adult version of the same book, so parents and children can discuss and explore the evidence together, chapter by chapter. 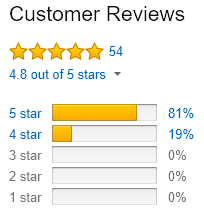 As of today there are 54 reviews for this new release on Amazon.com – with an average of 4.8 out of 5 stars – that’s quite impressive! We would love to see these getting into Christmas stockings across New Zealand – so we have put together a special bundle deal of BOTH the adult version of this book (which is an easy ready also suitable for teens) AND the kids version for just $39 FREIGHT FREE if you order before Christmas! Or our freight-free special bundle version here for $39.00 freight free!